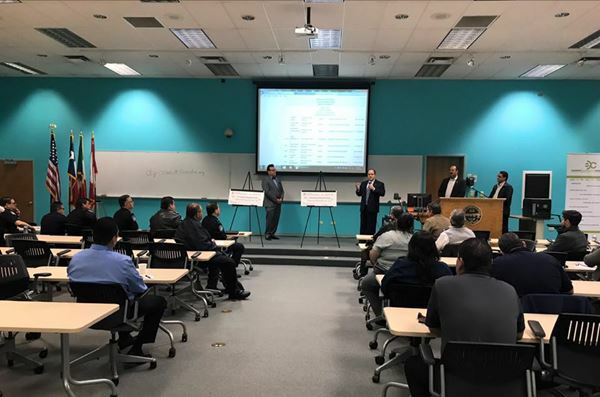 LAREDO, Texas (KGNS) - Laredo Community College received a generous donation that will go towards creating great employees for the top jobs in the gateway city. The Laredo Licensed U.S. Customs Brokers Association, also known as LLUSCBA presented two checks to the college’s economic development center. A $1,500 check for scholarship endowment will be made for LLUSCBA transportation, trade and logistics students. Meanwhile, a $2,500 check will go towards scholarships for various initiatives, including their cyber security certification program. LCC believes these funds are essential to helping students receive the education they need so they can be better prepared for their future careers. Rodney Rodriguez with LCC says, “We want to makes sure that we equip our students with those resources when they enter the industry and start working as maybe even a broker themselves. We want to make sure that they're ready to do whatever it is necessary for the transportation industry." If you would like any information on LCC’s Economic Development Center you can call them at 956-721-5110.